Rob has been with Toll for 13 years and his last role was as the GM of Specialty Retail, where he oversaw more than 19 distribution centres, working with the large multi-national customers including Adidas, Nike, TJX and LEGO, to name a few. Rob brings with him over 30 years of logistics and leadership experience across multiple industries, with a strong focus on Retail, Consumer and Technology. Rob brings a strong customer lens to his approach and will focus on working with customers to bring new ideas and solutions that will support their growth. He has implemented approximately 30 operations in the last 5 years alone. The largest and most recent is the Prestons Advanced Retail and eCommerce Fulfilment Centre, which is a state-of-the-art fully automated distribution centre. Robert Charles will relocate with his wife, Sue, to New Jersey USA to lead the Americas business. With more than 125 years’ experience, Toll Group, proudly part of Japan Post, operates an extensive global logistics network across 1,200 locations in more than 50 countries. Its 44,000 employees provide a diverse range of transport and logistics solutions covering road, air, sea and rail to help our customers’ meet their global supply chain needs. Our company has two primary offering segments: all modes of transportation and contract warehousing logistics. Within these segments, our business is well diversified by geographies, verticals and types of service. In addition to our capability, reach and scope globally we have sought out the formidable top talent across the industry to delivery high value service to our customers from our front line leadership to our executive management teams. As companies increasingly turn to Toll for supply chain solutions, we empower our employees to deliver world-class service via continuous improvement, automation and a heavy investment in information technology. We’ve built scalable and integrated warehousing and transport solutions coupled with world class technology that differentiates Toll across all lines of business and enables swift design along with a vertical implementation process. 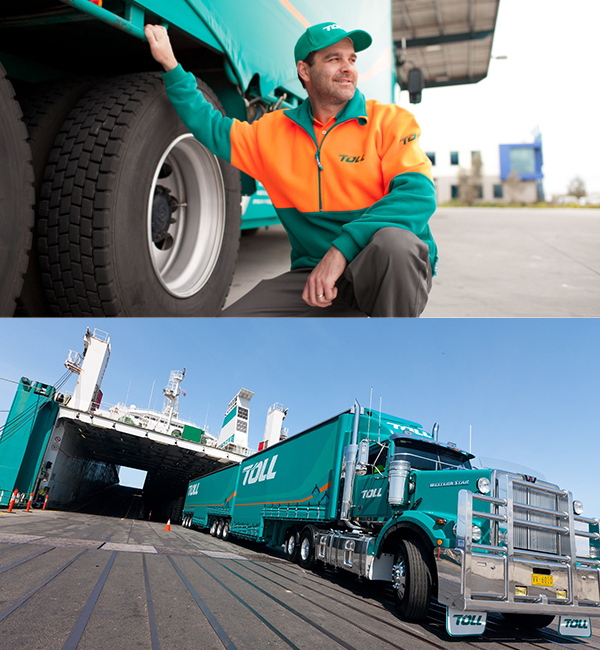 Toll Logistics having descended from Australia is quickly becoming a household name across every industry and vertical that requires transportation or logistics services. We’re working closely with customers to look at their entire supply chains, from point of origin to the end-consumer. We will find opportunities via network design and transport design with a goal of making our customers supply chain simpler, profitable and reliable to their customers.